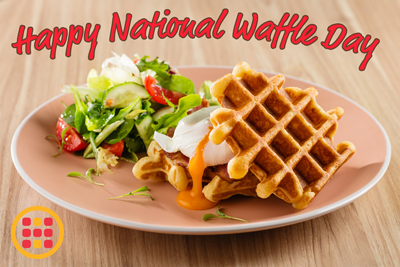 Happy National Waffle Day from Heartland Waffles! 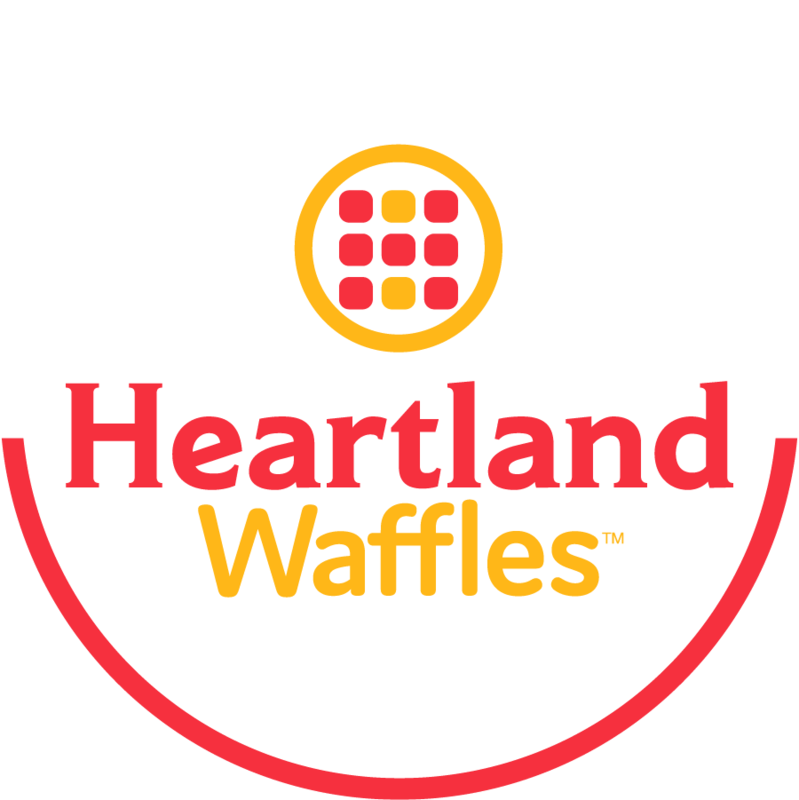 Friday August 24th is National Waffle Day, and the perfect time to treat your guests to Heartland's Signature Waffle Mixes. Serve our one-of-a-kind waffles with a variety of combinatons including sweet, savory and everything in-between. Make this year's National Waffle Day special for all of your guests by introducing a breakfast wafflewich to your menu. A simple bacon, egg and cheese between two perfect, golden-brown waffle wedges can make all of the difference. Up the ante by dipping the corners in maple syrup and serving with a side of fresh berries. For heavier lunch options, marry your Heartland waffles with warm fried chicken, or top it with macaroni & cheese and bacon bits. People of all ages adore waffles, especially when they can be served during any day-part. As for dessert, take some advice from the article "Batter Up": "It’s hard to beat fresh waffles topped with a scoop of cold vanilla ice cream and your choice of jam. Peaches and cream works well, as do strawberries and whipped cream." The possibilities really are endless with decadent waffles from Heartland. Have you already introduced your guests to a variety of waffle options without any positive feedback? 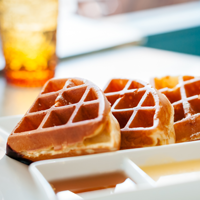 Refining your menu, or marketing specifically for National Waffle Day may persuade customers, as well as asking them to leave a review about your hotel or restaurant's food service. Another idea would be to target specific demographics, such as offering a free kids meal. In "How a Kids-Eat-Free Promotion Can Boost Sales," one restaurant franchise launched a Facebook ad promoting one free meal for children with the purchase of an adult entree. According to their marketing director, "'Sales went up a few thousand dollars per week...and compared to our other locations, we've seen far more families with children come.'" In this case, offering a food-holiday promotion highlighting free kids' meals may be the best option to attract more customers. Happy National Waffle Day! Contact us today at 1-866-572-0222 to get started.